If there is one thing that I am blessed in abundance with, is LOVE & SUPPORT from my family. Thankfully my destiny gave me loving & caring families – Parental as well as In-Laws. I grew up with a clan of elder n younger brothers who have pampered, cared and even spoilt me like a princess, and best Part is..They Still Do. My elder has been my best friend, my strength, my guide and my Hero always. He is the man, I grew up looking at. Wr were quoted examples of Sibling Rivalry and our fights were so bad that no one really wanted us around together. But the truth is that I always wanted to be better than him, always wanted to do all that he could and I never could be. He is still the best person I know and He will always be my hero and the first person I ll look out to. When I got to know that I am marrying into a joint family with all boys & just one girl, I honestly was nervous as hell. But thankfully I walked in there for more brothers who one again Pamper, Love & even Spoil me BUT like a Queen this Time. People ask me so often, how did you adjust in a big family of a small town, after been living alone for 10 years in Delhi.. I dd, because I got them as perfect friends. Its been 8 years i am married, and till date I don’t have any circle outside my family, but thats because I never needed one.This clan of mine is all i want for my vacations, my parties or even my vent outs. But Its not so simple, its not so easy, it not only interferes but ruin daily tasks for few people. Its a combined feeling that dreads one to do anything for that matters. Everything bothers you, but you don’t care about anyhting. Anxiety is feeling everything together, but then not feeling anything and numbness takes over your Body and Mind. Going Blank doesn’t help either. Well Being with someone with Anxiety Disorder is real tough, you have to keep giving in without a fail.. but being with the disorder is unexplainably tough too..!! 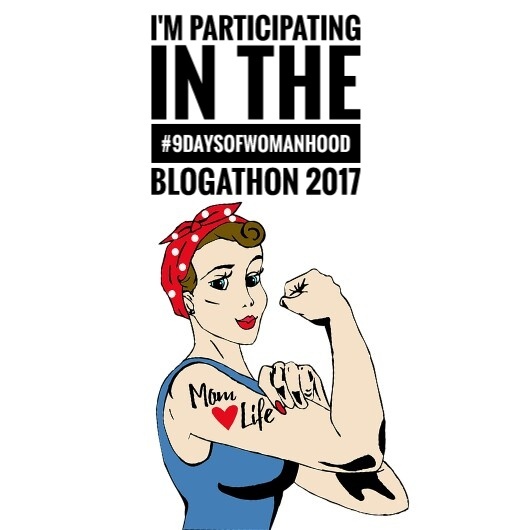 It brings me immense pleasure to share that I, along with 24 other WOMEN bloggers are celebrating #9daysofwomanhood throughout Navratri. I thank my friend and co-bloggerAnubhuti Sen Sharma for introducing me. 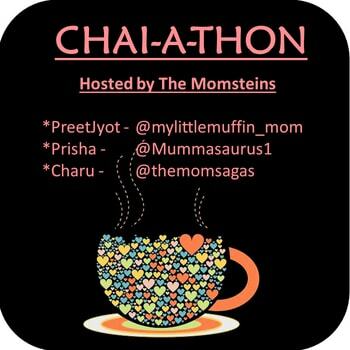 I am a huge fan of her blog Cries and Laughter where she talks about her journey with her little one. Here is what she thinks of todays prompt. Durga – the goddess of power and strength, through all her forms, encompasses the essence of salvation and sacrifice. A woman plays different avatar of Durga in her mundane life but every woman does have a dominant characteristic which embodies one of the avatars closer to heart than the others. She is the 4th avatar and she was the commander chief chosen by other Gods in the war against demons snd she is considered as the creator of universe, the one who is fierce and powerful in order to kill the demons, will change her avatar from a calm and beautiful Parvati to the destroyer of evil. I believe in fighting with the evil power that tells me I cannot achieve something. I believe in destroying the darkness of ignorance and spreading the joy of a free soul. I believe in living the life of a fierce woman who would be standing tall for anyone who I can help. I believe I am creator of my own world, my own Universe. I have the power to make it the way i want it to be. I am the One who gave Birth to another 2 AVATARS of Durga who will take charge of their own lives very soon. I aim to make my Girls fearless and to keep them away from the darkness of dependancy and weakness. They ll be as fierce as every AVATAR of DURGA. Durga is a woman who is strong, powerful, emotionally strong, fearless, knows how to stand for her rights. She is the One who can not be suppressed anymore unless she wants to surrender for love. She is any other woman living her ordinary life and giving beuty and wisdom to the whole world. So As you read about the pregnancy we had, let me take you a step ahead. The whole Pregnancy we were scared of risks involved with carrying twins and also a couple complications came our way. Me being fond of capturing everything wanted to have a maternity shoot right in 9th month so we l=planned it when 37th week was about to end. We did a super awesome one and then can you believe the very next day, I woke up with very High Blood Pressure. May be it was the stress or the exertion that happened all day long. Headed to the hospital and O GOD..! my BP was fluctuating heavily. My very adorable doc looked tensed for the first time as she could not operate with those fluctuations and she could not let that be. I was not responding to Meds and So was put on some IV. So those few hours already prepared me of what being a mom means. I was under so much guilt for getting that shoot done, I was dying of the thought of my Babies Health. How could i be so careless, just for the sake of some fun. Everybody was trying to calm me down and my thoughts were working the other way. I also wanted to relax as what I was going through was just ruining the situation. I tried to pray, meditate, relax but nothing was ok. The suddenly i was told by the nurse, its settling. Yes, my BP was settling and coming down. OMG!! I could hug her for saying that. Tears rolled down my eyes and my mom quotes her SO MOMMY QUOTE, “Maa Banna Itna Asaan Nahi Hai”. Well till next day I Relaxed and prayed. At 2 Doctor Announced twice, “It’s a Girl”. Both the girls were little under weight but rest all looked sorted. I was clutching my husband’s hand so tight that it was all red and marked by the end of my C SEC. It was just some unknown guilt that I had for being careless. Well All did well and I was amazed to know that My doc had just sent me false messages of settled BP. I was still not OK. Eveb at the time of Surgery, she had called for lots n lots of blood to be sure. But I think all the prayers we all were doing worked and all went well. The day we learnt about twin pregnancy, we didn’t know how to react. It took us almost a week to digest the fact and almost 9 months to properly getting ready. Thankfully we had twin parents in our family who guided us a lot all through. I am sure every single pregnancy is special. They are all difficult as well as fun in their own ways. Having a twin pregnancy was no different. It was a ride through lot of Allergies, Infections, Injectables, Medicines, Pains , Pampering, Photoshoots, Planings and what not. There was a different experience everyday but one thing that I ll never forget and also which differs totally from a singleton pregnancy was the soccer game that used to be an evening routine of my girls. I was in 19th week of pregnancy when a cousin was getting engaged and a full Karan Johar Movie style party was in its full swing when i felt something fluttering in my stomach. Initially I felt its just some other perk of pregnancy but when it repeated in about half an hour, I understood it was something I was waiting for. The so talked about ‘BABY KICKS’ and it was a moment of Euphoria because now I started feeling something inside me which had a life, a movement, a mood and a response too. Eventually, in few days I could feel them as proper kicks and not just flutters. By the end of 20th week they both were all active and made it a routine to play soccer or Boxing we can say with each other not realising that it was mommy’s tummy they were hitting on. Very soon, they both fixed their heads down and that was when my most difficult stage started. They both had their legs towards my ribs and that phase of play used to be highly painful. Even though me and my family used to wait all day for that time to come as it was an assurance that both the babies were having gala time together, but when it used to occur which was almost once in 2 days that they both were active together, it used to be highly painful sometimes. There was one other funny thing that used to happen and I laugh missing it. The hiccups. Sometimes both of them will get hiccups together. OMG..!! 5 minutes sometimes even more I used to feel a regular interval jerks. Somedays I used to cry it out to my mom that please do something to stop this, but they were still inside, we could not distract them or give them water to subside those hiccups. It was really a difficult journey full of little problems but every bit is worth, Every bit we enjoyed.